It’s Getting Hotter, is Your AC Ready? 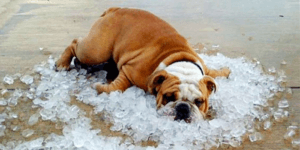 As the temps are starting to rise is your AC ready for another Tucson summer? Have you checked and replaced your air filters? How about getting that new Programmable or Smart Thermostat you have been eying? Keep saying you want to have a professional come out and make sure your AC is running as efficient as possible? Filters: There are different types of air filters you can use and it really comes down to preference. Washable are low cost and can last years is taking care of properly. Disposable filters are another option and should be replaced according to the manufacturer and have many different types available. Thermostats: Programmable thermostats will let you set a schedule that works for your home. Set it to turn to a warmer temperature when no one is home, why waste the energy air conditioning an empty house, and then set it to cool down before you would get home from work. The new Smart Thermostats do everything a Programmable thermostat can but smarter. They can be used remotely with an app and some will even “learn” your home. Maintenance: Having your AC maintained can save you money over the long run. Maintenance of your AC unit can help find the “small” problems before they become “big” problems and cost you thousands of dollars or having to replace your AC unit before its time. Remember that Russett Southwest is here to help you with all of your air conditioner needs. Our experts will help you keep your system running at its max capacity during its lifetime. We can also help you make decisions on upgrading or replacing your existing air conditioner. To learn more visit us online at russettsouthwest.com or call (520) 629-9676.